If you’ve ever subscribed to a news site, you know that it can sometimes be an onerous task. This isn’t the publisher’s fault, it’s just the way websites work. You’ll have to type in your name, your email, maybe a username (no, not that username; it’s taken) and then make up a new password (no, not that password; you’ll need one with the special character and the two non-repeating numbers), and it doesn’t end there. You’ll have to fill in a bunch of credit card fields, which you probably don’t have committed to memory. Like you, we love journalism, but we’re less excited about filling in web forms and clicking on “forgot password” links. So today we’re announcing Subscribe with Google—the simple way to subscribe to news publications and maintain access everywhere: websites, apps, even search results. 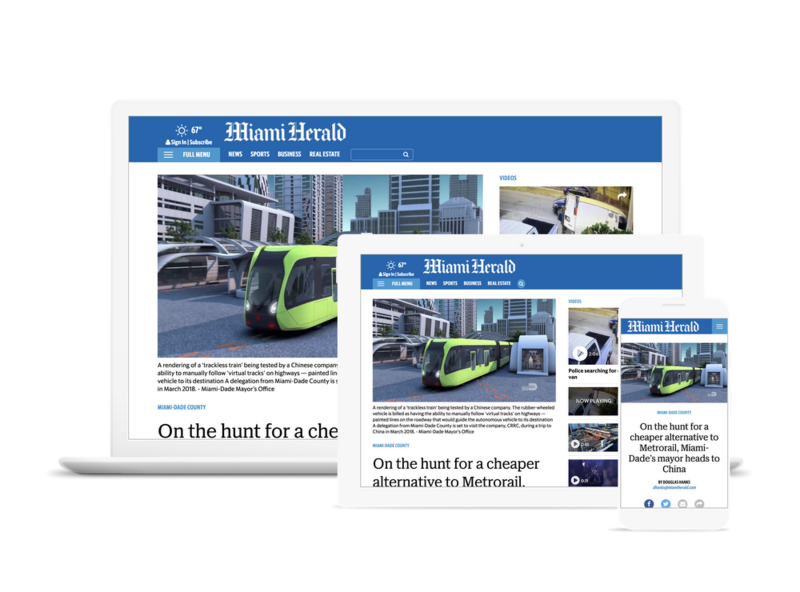 You’ll soon be able to subscribe with Google on any one of our launch partners, including Les Échos, Fairfax Media, Le Figaro, the Financial Times, Gatehouse Media, Grupo Globo, The Mainichi, McClatchy, La Nación, The New York Times, NRC Media, Le Parisien, Reforma, la Republica, The Telegraph, USA TODAY NETWORK and The Washington Post —with more publishers coming soon. After subscribing, you’ll be able to access your subscription content whenever you’re signed in to your Google account. No more irritating paywalls popping up when you’ve already paid, and no more struggling to stay logged in when you switch from laptop to mobile device. Paying for a subscription is a clear indication that you value and trust your subscribed publication as a source. So we’ll also highlight those sources across Google surfaces, beginning with a dedicated module on Search. When you search for a new topic for which your subscribed publication has relevant results, we’ll showcase these so they’re easy for you to see and access—without disrupting search ranking for the rest of the page. But how can we help you get access to the subscriptions you already bought? Our goal is to make news subscriptions work better regardless of who you bought your subscription form. 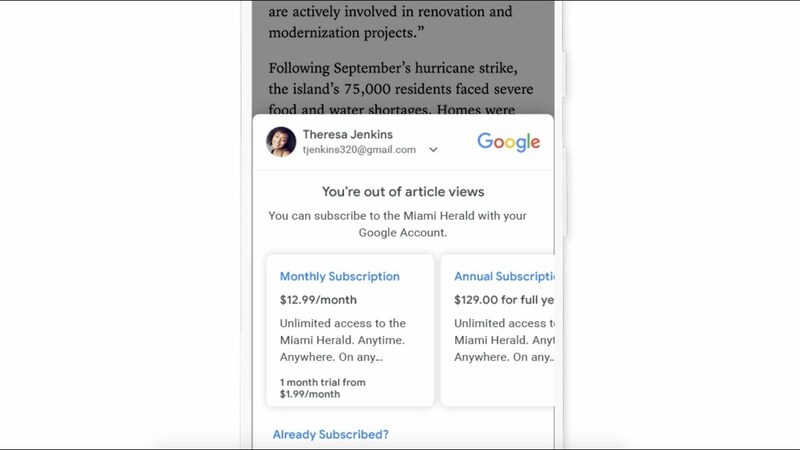 So Subscribe with Google will also allow you to link subscriptions purchased directly from publishers to your Google account—with the same benefits of easier and more persistent access. Back in October, we previewed our initial thoughts around Subscribe with Google. For the last six months, we’ve been holding working groups with participants from nearly 60 news organizations across 18 countries to review our ideas and collect feedback. We’ve experimented directly with a smaller number of partners to understand some of the implementation challenges they face, and we’re committed to building a product that works for publishers of various shapes and sizes. 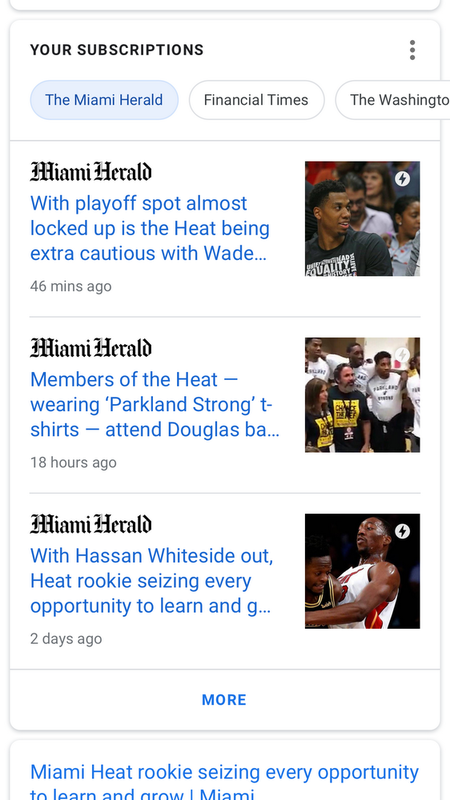 As part of the Google News Initiative, our company-wide effort to help journalism thrive in a digital age, today’s launch is an important step toward helping news publishers develop revenue streams beyond advertising. We plan to grow and evolve Subscribe with Google to help publishers identify likely subscribers, grow their subscriber base, and achieve financial sustainability. If you’re a news publisher or developer, visit our site to learn more.